There are 67 posts filed in Typography (this is page 1 of 17). This is a rather smart idea – using font-embed to handle icons. Useful for identifying the particular parts of a letter. These designs are just flat out amazing to me. Love the vibrant color, detail, typography, effects. 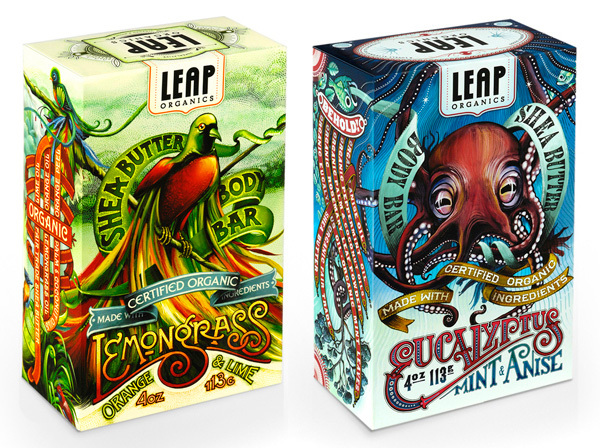 Designed by Moxie Sozo for Leap Organics and scheduled to launch spring 2010. Can’t wait to see them in the wild.